Have you ever used a pressure washer? I did back in the mid-90s, and it was awesome! 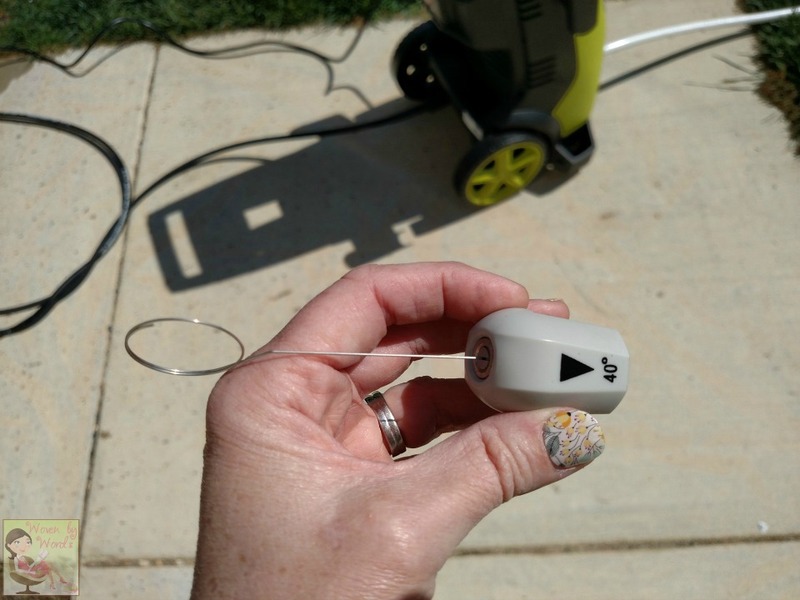 My girl friend had one, and was using it to clean up her house and patio! Now it's my turn to have my very own pressure washer! My friends and family know that this thrills me to no end. When I worked at the hardware store (isn't this a common refrain) I loved being able to learn about the pressure washers we sold. The tips, the hoses, the psi...all so good! Who doesn't love to learn about this kind of stuff? I had originally contacted Snow Joe to find out if I could review one of their cultivators because...gardening...They came back with a, "how about a pressure washer instead?" Um, hello, who would say, "No," to an offer like THAT?! Not this girl! I said yes, and got to do an unboxing of the product in a video. They offered the Sun Joe Pressure Joe 2030 PSI 1.76 GPM 14.5-Amp Electric Pressure Washer SPX3000. After I had it all together, guess who ended up using it first? Not me, I can tell you that. The hubster wanted to grill the same night I put it together, and thought it would be a great idea to wash off his grates. So, he got to use it first. It was pretty funny listening to him show me how good the Pressure Joe was doing. He's so cute! I got to watch. 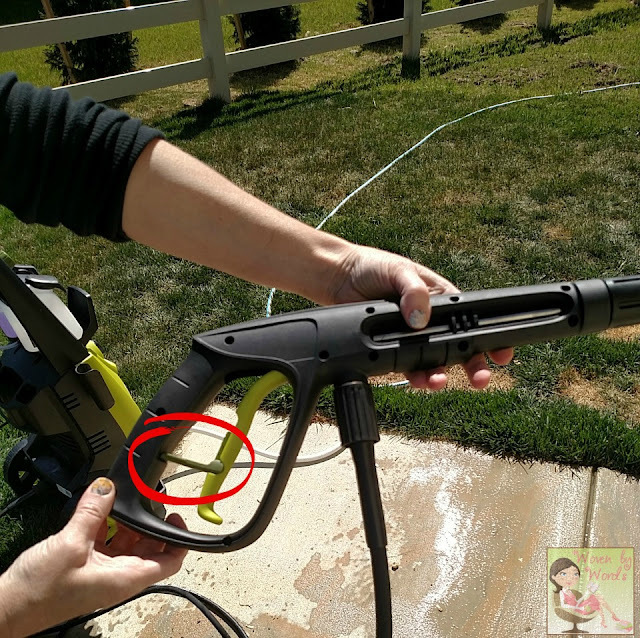 Watch him use the new pressure washer I got for review! What's up with that? He started off with the 0° spray tip, but because it's such a narrow stream I handed him the 15° tip. That one was a lot better! As soon as he was done spraying down the grates, he got the grill fired up. He was making pork chops, and what surprised both of us was they cooked about 5 minutes faster than normal! While he was grilling, I grabbed pressure washer, and sprayed off our sidewalk and porch. It was something I'd been wanting to do since we moved into the house. They were still so dirty from all of the construction. One of the exciting parts of this was clearing out the spaces between the sidewalk squares. That was done with the 0° tip. I put the 25° spray tip on it to spray everything down, and then switched to the soap tip. Who knew there'd be a separate tip only for the soap? I like that because then you don't accidentally spray something with soap when all you wanted to do wanted to do was spray with water. Something I didn't even realize was that there was paint splatter dried onto the sidewalk and patio. I changed the tip back to the 0° and blasted that paint right off! I asked Fred if he thought it would be ok to spray down the door. That stinkin' door had gotten so dirty. I hadn't even been paying attention. I was just going in and out of it every day. Cleaned up in a jiffy. 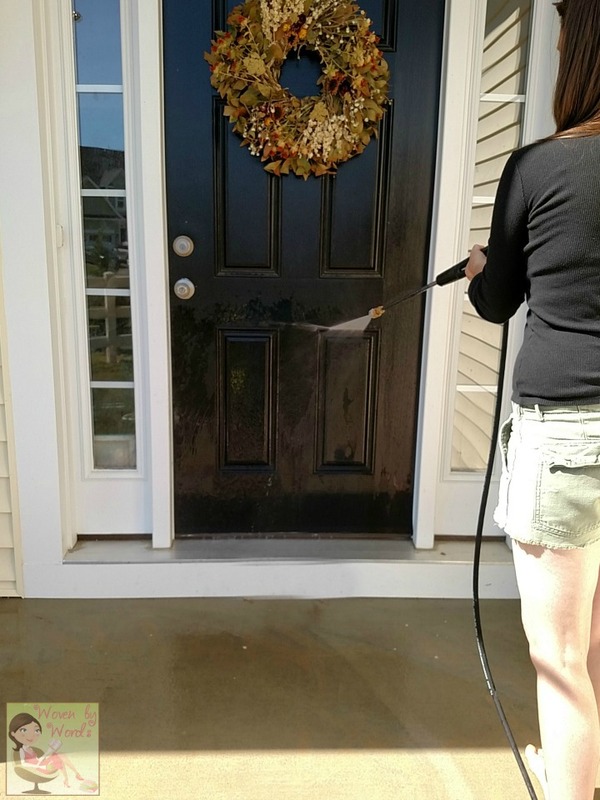 When I was talking to my friends from church, they were talking about spraying down their siding, and I happily offered them our pressure washer! Do you know how fulfilling it is to be able to share something with someone? They were just going to go rent one. Pshaw Take ours for a spin, and then you'll want to get one of your very own. Let's talk about the bells and whistles of this little gadget. I had it put together in about 10 minutes. The directions are easy to follow, and you can always watch my video (wink wink) to see how to do it. 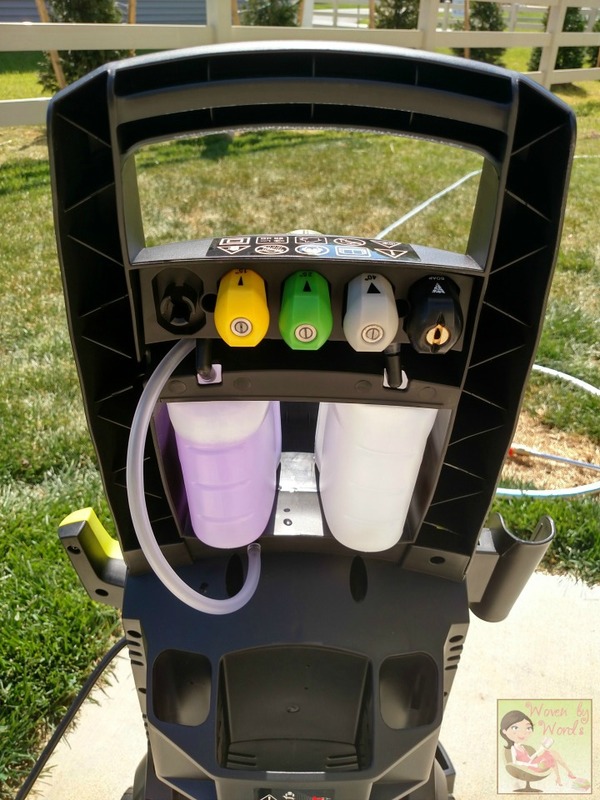 There are 5 quick connect tips (0º, 15º, 25º, 40º and soap), two removable tanks, a 34" extension wand, 20' high pressure hose, 1800 watt motor, and a 2 year warranty! Now you're not allowed to laugh at me because I've already made a list of accessories I already want to get. Who says a girl doesn't love household items as a gift or just because? I want to get the Surface, Deck, and Patio Cleaning Attachment, the Extension Spray Wand, the Gutter Cleaning Attachment, and Power Scrubbing Broom! If you've never used a pressure washer, you'll be surprised at how easy they are to use. The power cord is 35' long, so you can get around large parts of your home, car, or wherever you end up using it. The trigger gun has a safety lever that we used each time we switched tips. I really like that safety mechanism. Now, if you watch my video, you'll see close to the end that I don't put the spray tips in the right spot. hahaha I just drop them in the wand holder. As you can see in the photo a little bit above, there's a spot on the back, just underneath the handle that they go. I hadn't put one of these together for a few years and totally had a brain fart, and forgot. It also comes with a little tool to clean out your tips in case they ever get clogged. Pretty slick, eh? It's the little things. I'm already making plans for all of the ways I can use our pressure washer. Once we have a deck to keep it in tip top shape, when our huge fence needs to be cleaned for us to reseal it, washing our cars, cleaning our outdoor furniture, and so many more things! I'm sure those ideas really are almost endless! Now, be sure to follow Sun Joe on their social channels: Facebook, Twitter, YouTube, Instagram and Pinterest! I was literally JUST talking to my husband yesterday about getting a pressure washer. Our house and deck need a GOOD cleaning - one that only a pressure washer could give. This one sounds real nice. 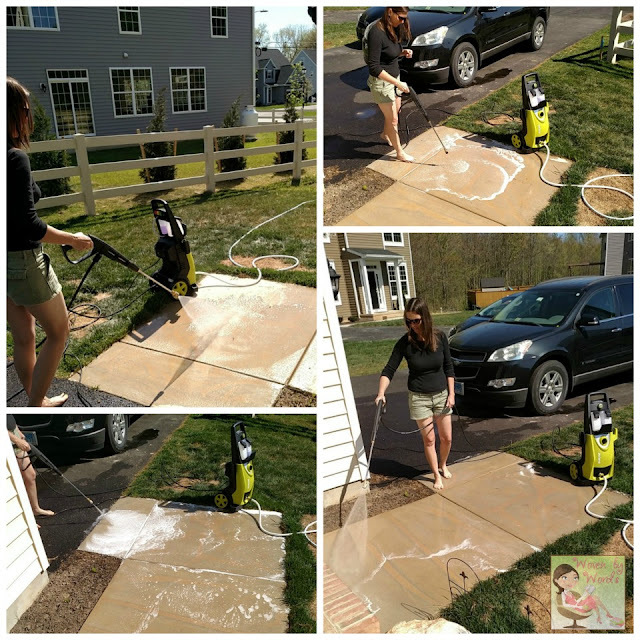 Totally agree with you - those pressure washers are fun! Its amazing how that extra power can really clean down almost anything! Its so easy, too! My porch is in deperate need of a power washing! I keep telling my husband that, but maybe I should do it myself. You sure made it look easy! Pressure washers are excellent. We used them on our patios and garden flooring and you don't realize how much dirt there is until it washes away. Oh yes! We have a pressure washer and love it! Great for cleaning off the grill, driveway and dirtbikes! 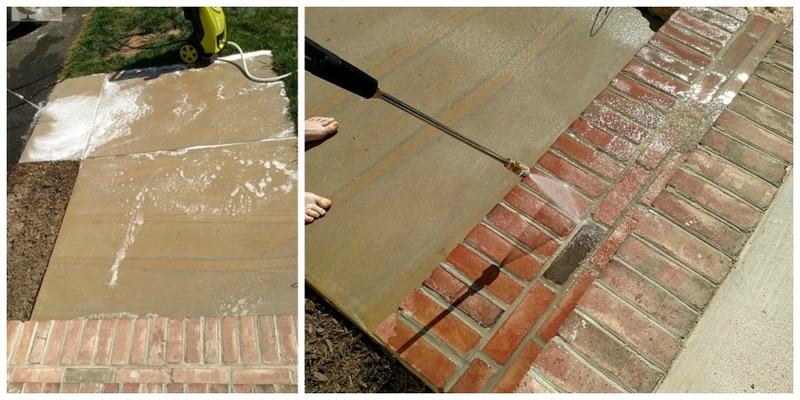 I've never used a pressure washer myself, but I've always thought it looked like so much fun. Who wouldn't enjoying cleaning away all the dirt and grim. My husband has been talking about getting one and I told him to look into it. I'm going to have to tell him about this one. This would surely make cleaning our deck so much easier. I really really need to pressure wash my house and porch now that the pollen has stopped! This looks like a great choice. I kind of love pressure washers! 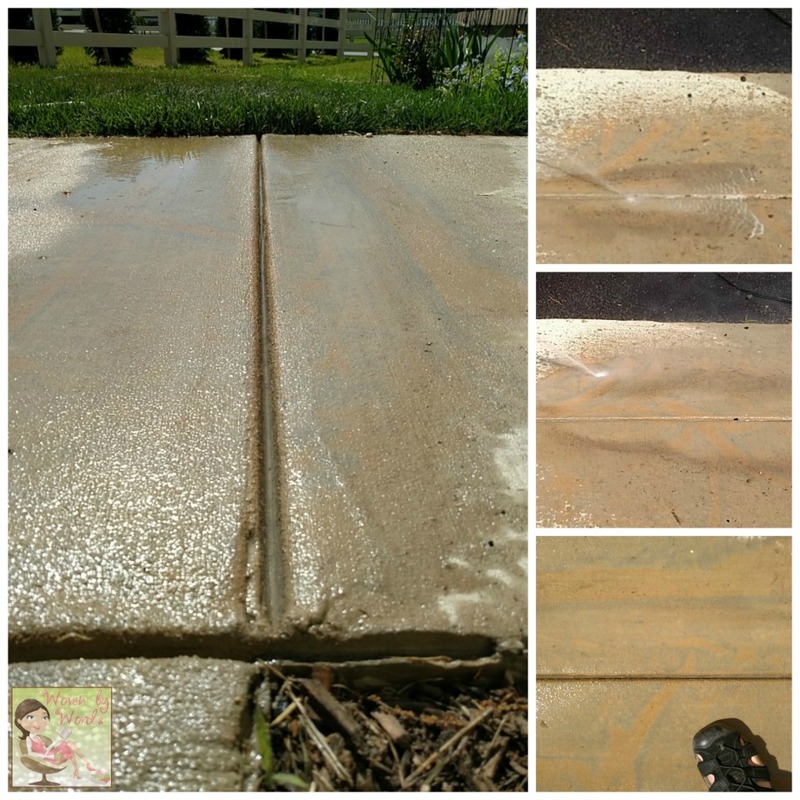 It is so fun to see things come clean with a pressure washer! We really need one. We had one but it broke after only a year. This one looks amazing! What is it about a pressure washer that just makes us happy? (yes, fellow pw lover here?!) 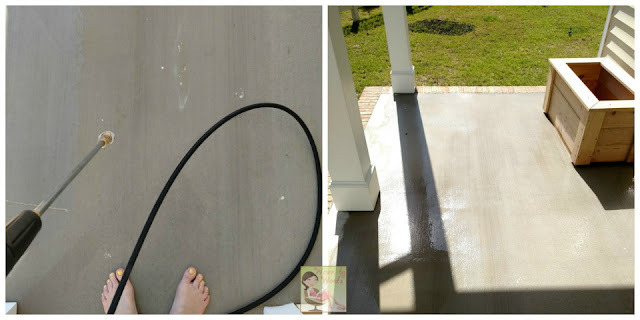 I used ours to strip the old paint off of our deck... LIFESAVER! Saved so much time! 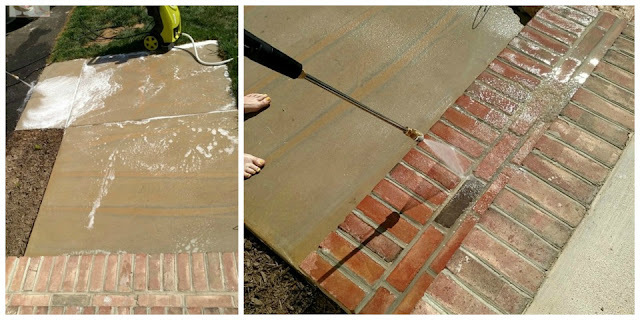 Pressure washers are awesome, especially after a long winter. We need to pull ours out and do our deck. wow, I wonder if you can use these on the siding of your house. Would it be too strong? I know of several to-dos for the outside of our house that this would be handy to have. Starting with the deck. Looks like a great washer. My husband has been wanting a pressure washer for a long time. I will have to look into this one. Oh my goodness, I need to get this! My house is in desperate need of a wash...sun doesn't hit one side and it is so gross! Ok, I have to buy something like this too ASAP! I want this and I need this in my life. Omg I so need to tell hubby about this!!! We need to pressure wash our house really bad!!!! Winter definitely did a number on it this year. Pressure washers can be addictive. They work so fast and so well you will find yourself looking for something else to use it on. Great review. Can you come an pressure wash my house? lol. We have talked about getting one several times in the past few months, thanks for the info on this one! 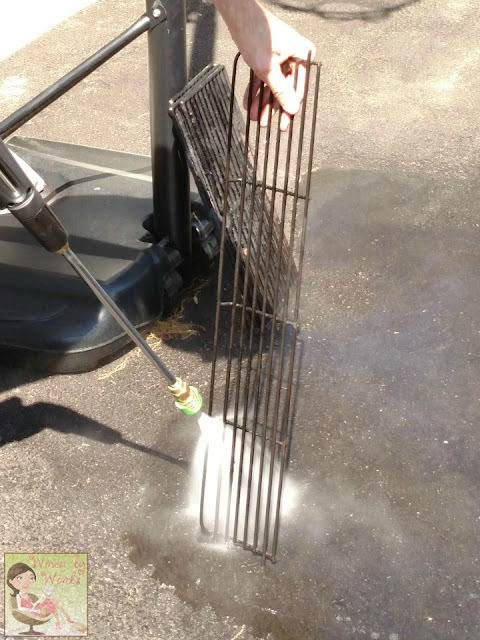 I've never used a pressure washer but I know they are great for cleaning sidewalks and driveways. We use our driveway a lot and it could really use a good cleaning.